The garden comes into its own in Summer, with flowers blooming and fruit and vegetables ripening. 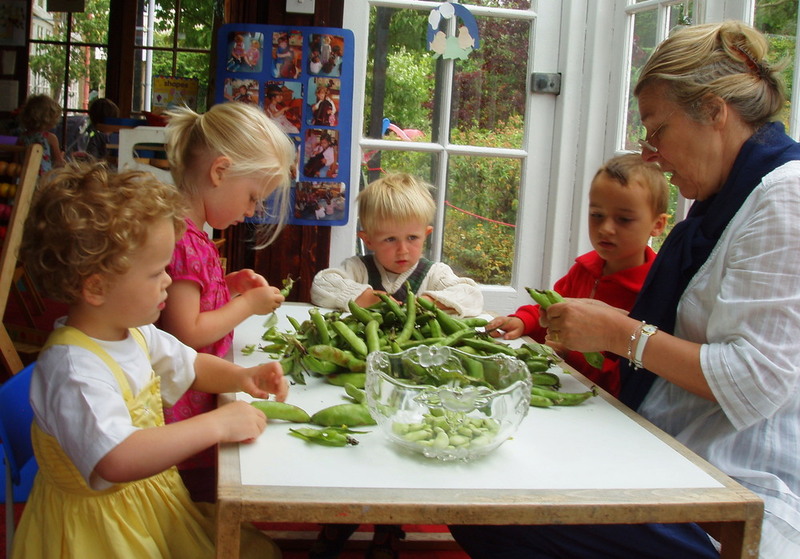 Broad beans and peas are our first harvest. Sometimes we put up our paddling pool or tepee. The water tray is always available to splash in, and the children often eat their snack or lunch under the trees. 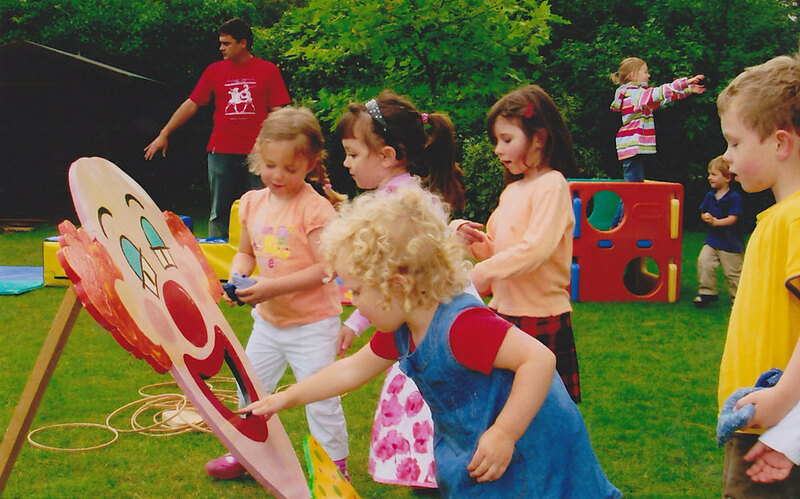 We hold an informal Sports Day each year, with an emphasis on shared fun rather than competition. 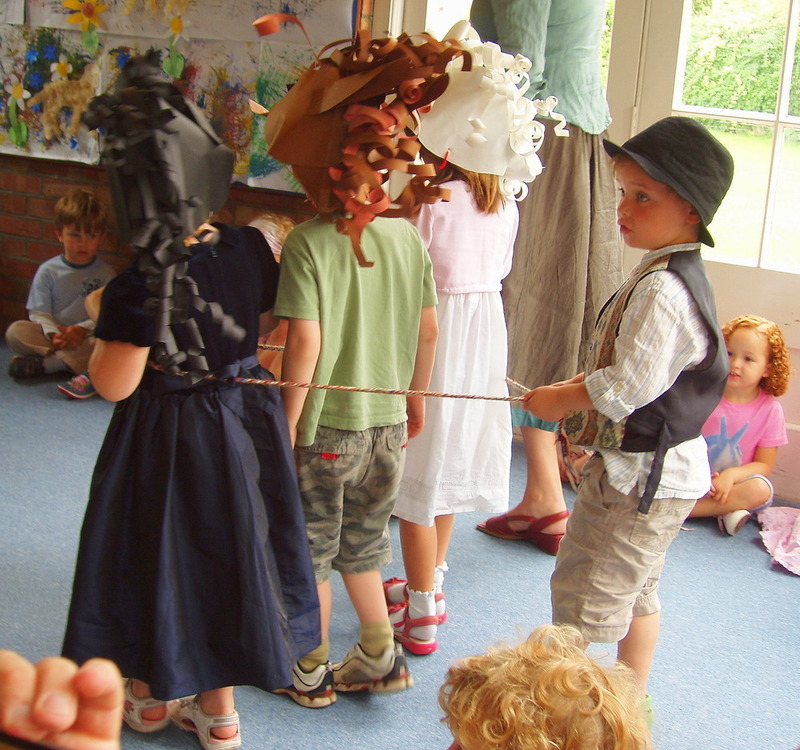 At the end of the summer term we hold a Leavers' Ceremony with gifts for the four and five year olds who are starting school in September; some of our children go on to join the European School at six years old. This ceremony is an important time to affirm to each child their unique contribution to our community. We end our year with a Summer Celebration; a little musical play, "The Magic Bridge", is performed by the children, followed by a bring-and-share family picnic on the lawn.